An intense aromatic red muscadine wine that has a warm body and deep complexity. The intense fruitiness of this interesting wine creates a lasting impression on the palate and the mind. The colors of a crimson autumn evening sky really hint at the fruitiness and sweetness of the wine. I am not sweet wine kind of guy. This Cypress Bend Vineyards Autumn is sweet, but not super sweet. This is the best muscadine wine I have had since I have been in North Carolina. Cypress Bend Vineyards opened its doors in late June of 2005. After four years of cultivating thirty acres of muscadine variety grapes. Growing several muscadine cultivars (Carlos, Noble, Magnolia, Doreen and Triumph). 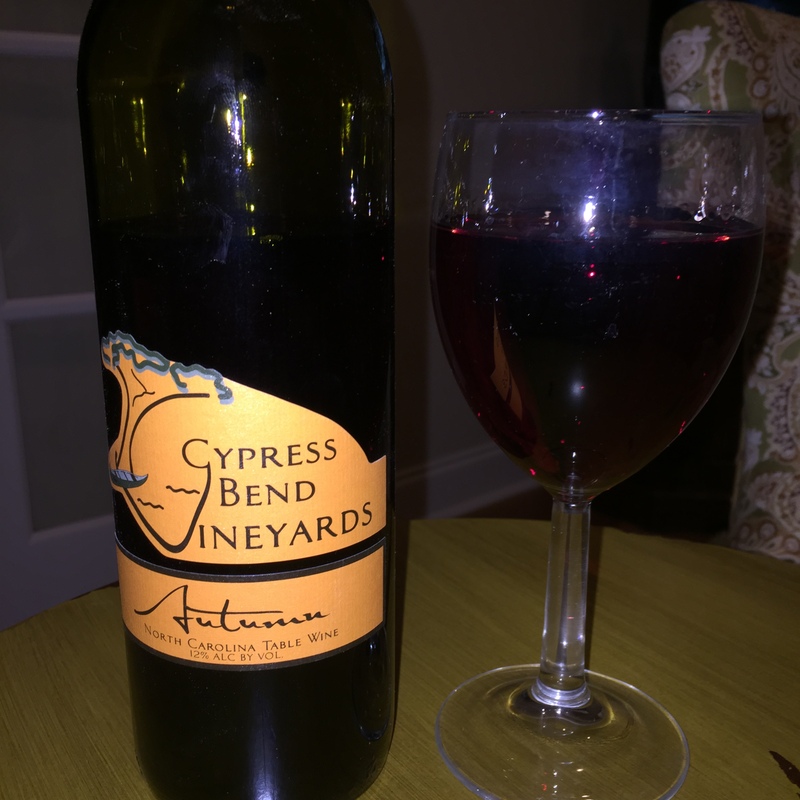 Cypress Bend Vineyards is bringing the taste of the muscadine grape to new levels in their muscadine table wines and one after dinner wine. The winery is open Monday – Friday, Noon – 6 pm, Saturday 10-6 pm and Sunday, Noon – 6 pm. Match with cream sauce dishes, soft cheeses or heavy hors d’oeuvres.